Shanghai's fish market in the 1930s was booming. The original Fisherman's Wharf was once the country's first fish market. Shanghai is the birthplace of modern Chinese industry, and Yangpu District is the cradle of Shanghai's modern industry. In the course of more than 120 years of industrialization, it has been several times brilliant. The Yangpu old industrial area along the Huangpu River was referred to by the United Nations expert on UNESCO as "the largest remaining riverside industrial belt in the world." The nature of the old building renovation project requires us to retain the original architectural features. At the same time, the structure of the old building itself is symbolic and representative in terms of aesthetics and people's spiritual memory. The landscape along the river is the biggest advantage of the waterfront architecture. The characteristics of the site require us to closely integrate rivers, buildings and plazas so that waterscapes, landscapes and lands can be closely combined to form a complete landscape system. 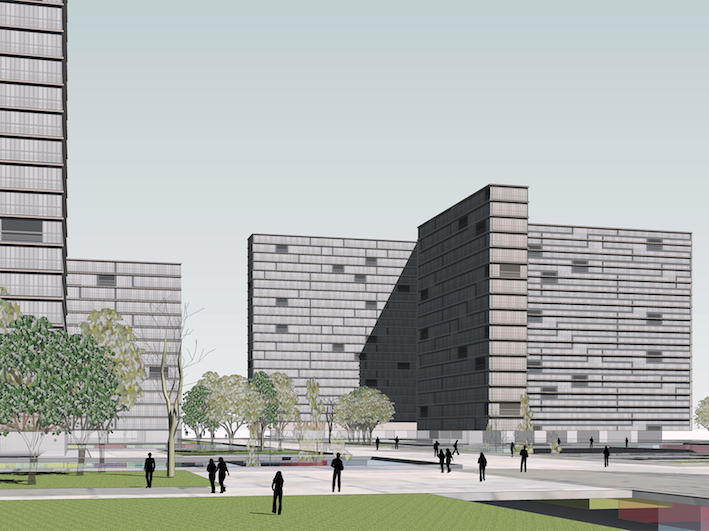 The characteristics of the base require transparency from the square to the river, leaving the landscape to the public. Therefore, the design of the entire building must be based on permeability, and use this feature to lead people to the waterfront. Waterfront buildings should be welcoming and have flexible and rich features throughout the space. At the same time, it is necessary to be able to meet the changing functional requirements in the actual use process and have many possibilities in terms of space functions.